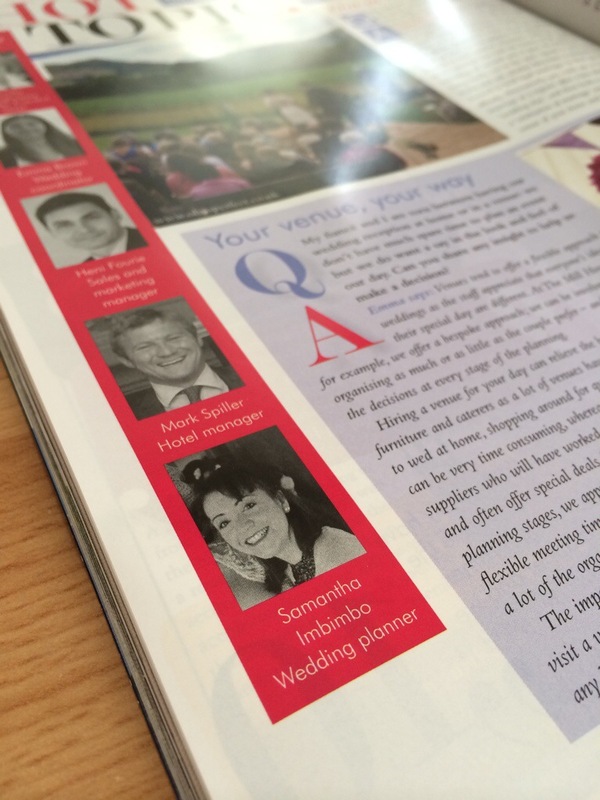 Oh So Perfect are independent, award winning, wedding and event planners dedicated to organising and delivering bespoke weddings, ceremonies, civil partnerships, and special events across the UK. Enter your email address to follow Oh So Perfect and receive notifications of new posts by email. 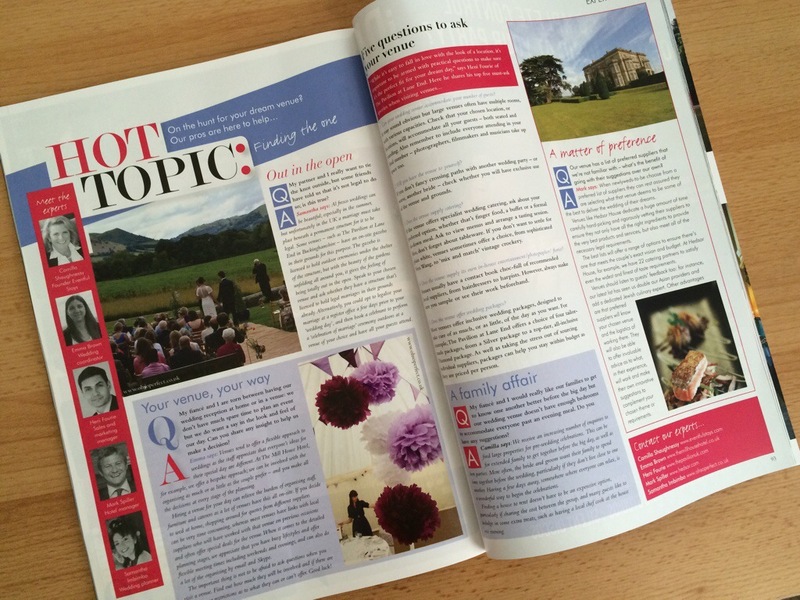 Have you picked up your June/July copy of Your Berks, Bucks & Oxon Wedding magazine just yet? 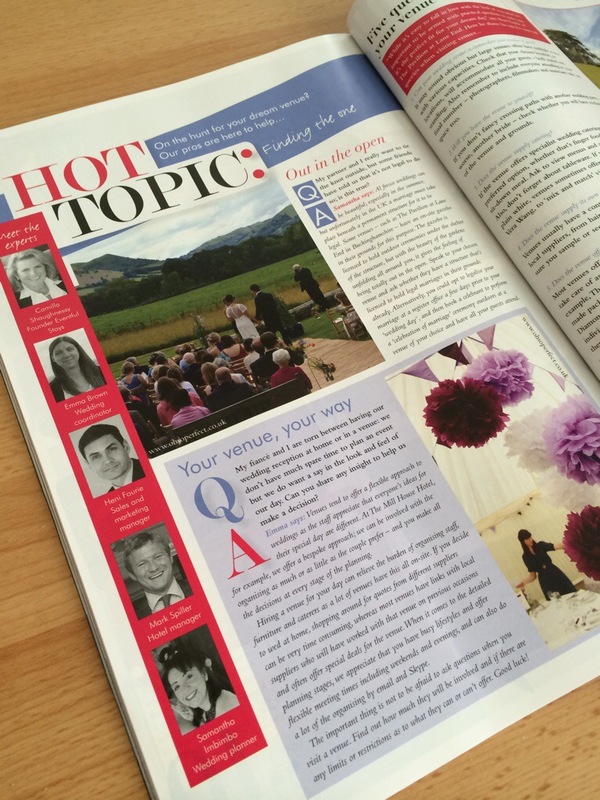 Well if not then you’d better hop to it oh so lovelies as we’re featured in this latest edition answering your questions and offering our wedding planner’s expert advice on everything you need to know about wedding venues and outdoor ceremonies. 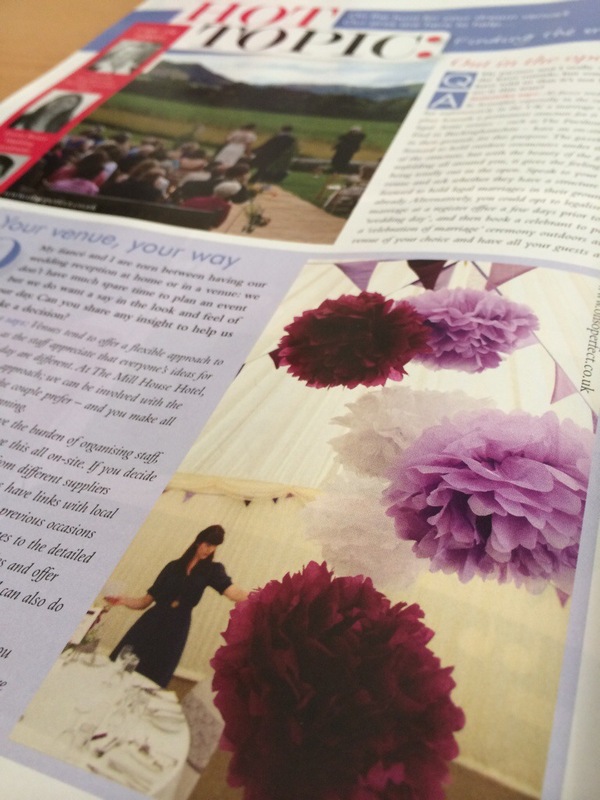 Pick up your copy and flick through to page 92 for the full feature which not only includes our expert advice but also our photos of Sam and Rick’s outdoor ‘celebration of marriage’ ceremony and Emma and Andy’s now rather famous purple pompoms too! 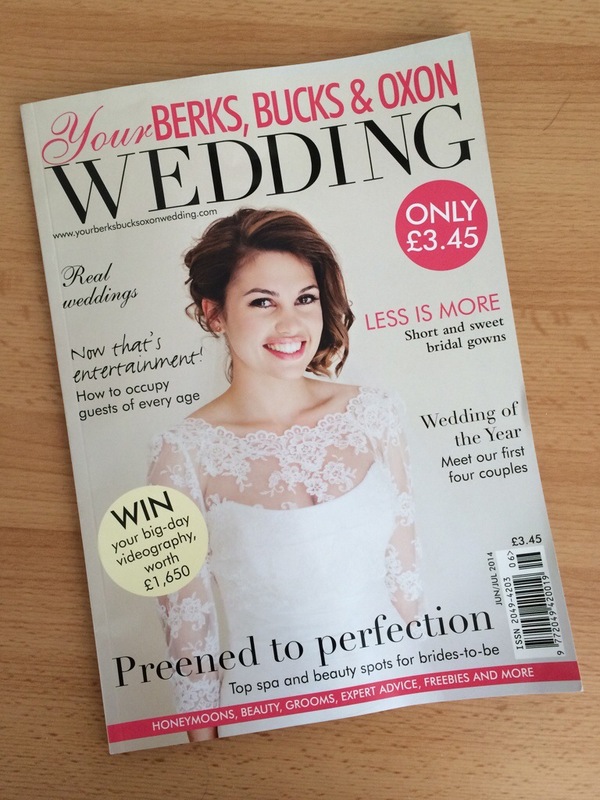 And of course Your County Wedding mag is always packed full of all sorts of other wonderful features including tips, gossip, fashion and beauty, real-life weddings and everything else you could possibly need to get your monthly bridal fix…. 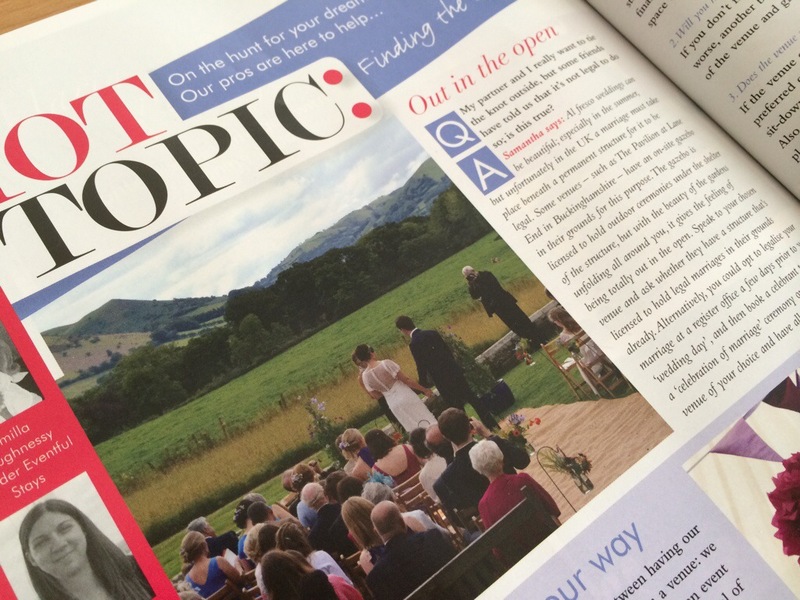 If you’d like more advice about planning an outdoor wedding – or any wedding for that matter – or require some coordination and assistance on your wedding day, take a look at our website www.ohsoperfect.co.uk for our full list of wedding packages and services to suit you. Need help planning your wedding day? Visit www.ohsoperfect.co.uk for our full list of wedding planning and coordination packages and services. Rhod Gilbert’s Work Experience – DVD!